- Barco’s E-mail address, automatically ﬁlled out when installing the software. 5. If you want to receive a copy of the bug report E-mail to Barco, check this check box. 6. 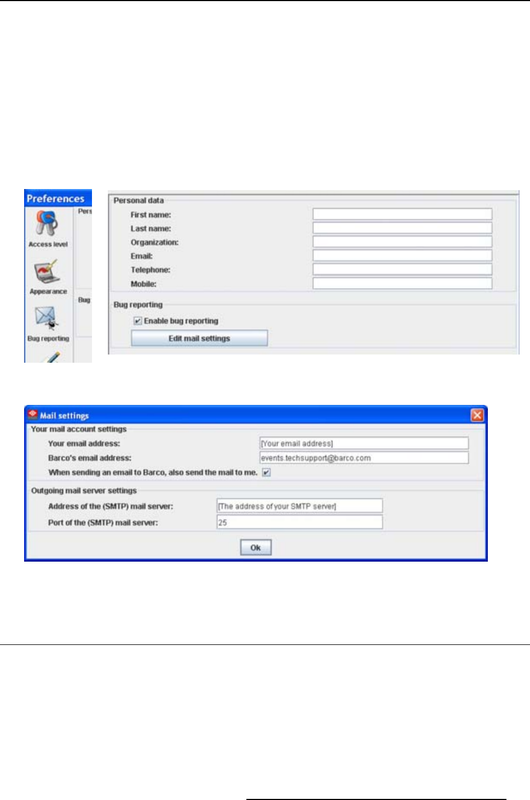 Fill out the address of the SMTP mail server. Tip: Contact your system administrator in your organization to obtain the correct address.